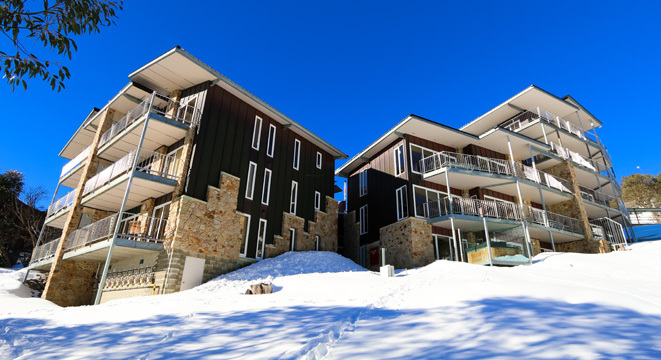 Ropers apartments are located adjacent to the Pretty Valley lodge at Falls Creek. This superb property is conveniently located on the main road, and just metres from the Falls Creek express quad chair, lift ticket and carpark. Luxury apartments, the ultimate in-snow lifestyle holiday accommodation, are packed with first-class facilities for all ages. Truly, a stylish alpine experience bringing together the benefits of contemporary apartment living and the appeal of a glorious natural environment. Click here to view the Ropers website.